Indian property markets are not in the pink of health. However, investors in real estate private-equity funds seem to be confident about returns from their investments in such funds. On Tuesday, wealth manager ASK Group announced the closure of the first tranche ($50-million) of its $200-million offshore real estate fund. The fund, managed by its Singapore arm ASK Capital Management, will invest in real estate projects in Mumbai, Pune, Chennai and Delhi. ASK plans to close the fund by March 2015. Indiareit Fund Advisors, which recently raised a Rs 1,000-crore domestic fund, is looking to close the first tranche of $75 million of its offshore fund by April this year. This time, Indiareit, which normally raises funds from retail investors, is tapping global institutions for the offshore fund. While three investors have committed funds for ASK group’s fund, in Indiareit’s case, a similar number of limited partners are doing due-diligence. According to sources, Essel Group’s financial services arm Essel Finance and Red Fort Capital are also in the market to raise offshore funds. “Fund-raising environment would be better in 2014 as larger risks are behind us,” said Sunil Rohokale, managing director and CEO of ASK Group. The group is looking to invest Rs 500 crore in real estate projects this year, he added. “Both the US and Europe are improving and the Middle East (West Asia) has always been doing well. So, investors in these parts of the world want to diversify,” said Rohakale. ASK manages realty assets worth Rs 1,800 crore domestically through its two funds. Indiareit has reduced the corpus of its offshore fund from $350 million to $250 million. “The reason is that we have already raised Rs 1,000 crore and do not require a corpus of $350 million. Both domestic and offshore funds will co-exist. Right-sized funds will always do well in slow markets,” said Khushru Jijina, managing director of Indiareit. Big global investors are also betting on Indian real estate. In November 2013, Canada Pension Plan Investment Board had said it would invest $200 million for an 80 per cent stake in a real estate joint venture with the Shapoorji Pallonji Group. In the same month, Singapore’s sovereign wealth fund GIC and developer-investor Ascendas Pte Ltd said they would jointly invest around Rs 3,000 crore towards developing commercial real estate in India. Shobhit Agarwal, managing director (capital markets) at Jones Lang LaSalle, said investors are still cautious and are giving money to only those fund managers who have done well in the past. “It is not that money is pouring in. Only those fund managers who performed well in the past have been able to raise funds. But it is still smaller than what they have done in the normal course of time,” said Agarwal. Notably, fund managers are raising funds at a time when home sales are falling. 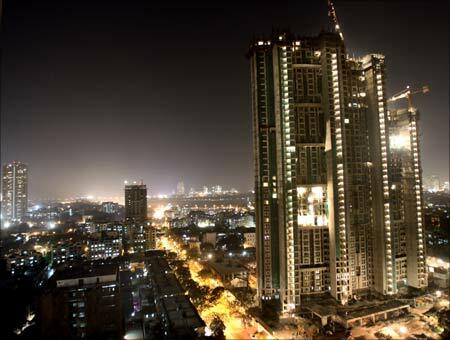 According to property consultant Knight Frank, half of the units under construction are unsold in Mumbai. The total number of units launched during January to September 2013 in Mumbai has come down by 28 per cent on a year-on-year basis at 47,500 units. The absorption of units during the same period has dropped 26 per cent. Bangalore, which is the most stable market in terms of residential sales, has also started softening in Rs 1.5 crore-plus bracket homes since September 2013, HDFC Securities said in a recent report. However, fund managers are confident of their strategy. For instance, ASK invests only in top five or six cities and that too in mid-income projects in cities in the bracket of Rs 4,000-5,000 a sq ft.
“We are neither targeting the bottom of the pyramid nor the top. We are investing in the mid-level projects, which have good demand,” said Rohokale. Indiareit also invests in residential projects in top cities. Both Indiareit and ASK are following different strategies for their investments, while Indiareit is focusing on structured equity deals, ASK is doing only pure-equity deals. However, ASK’s Rohokale said equity deals allows PE funds to participate in launch strategies, allows them to have board seats and have a say in the management of the investee companies. Crony capitalism: Why property prices don't fall! Will the New Year bring cheer for the realty sector?